Hey guys! Remember last Monday when I showed you Home Depot’s verson of this months’ Do It Herself workshop project? 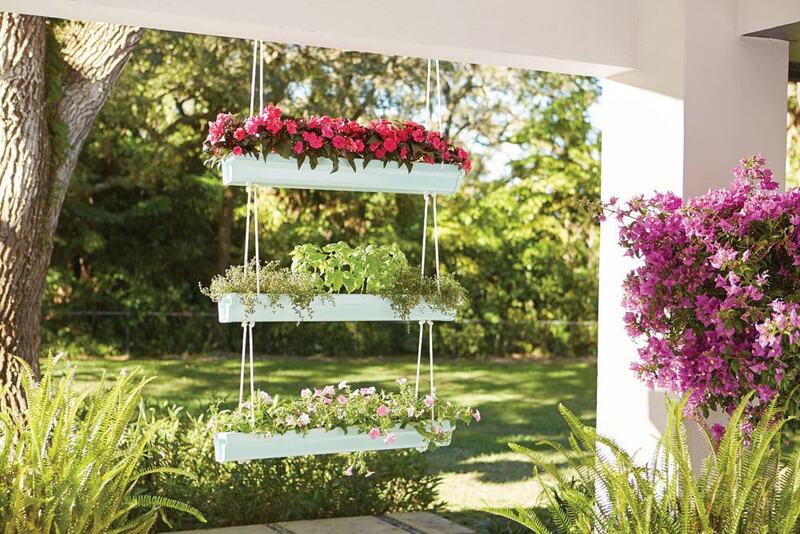 Well I am so excited to finally be able to show you my version of their awesome hanging gutter planter! Don’t forget to grab your bff and sign up here for your own local #DIHWorkshop (which is totally free other than the minimal product cost) so you can make your own hanging masterpiece! 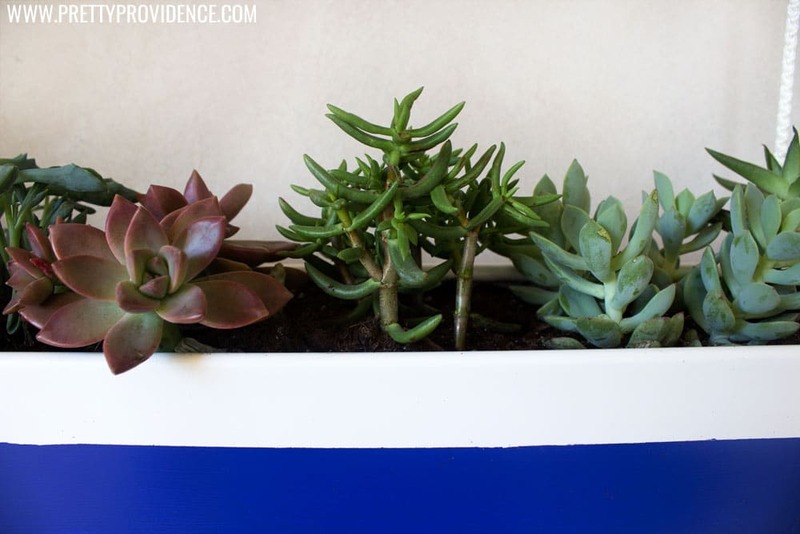 I live in a dessert and I also have a black thumb but I love plants….. so basically succulents are my BAE. We were a match made in heaven, succulents and I! I can forget to water them for a week, and they still look adorable. My kind of symbiotic relationship ;). I mean seriously? How cute are those babies? Also, I learned a great tip to not over water them or make a mess… WATER THEM WITH ICE CUBES. I know, I know, it is revolutionary. Every few days I take a cup out with ice cubes and put one every few inches and that is literally all I do. Amazing. 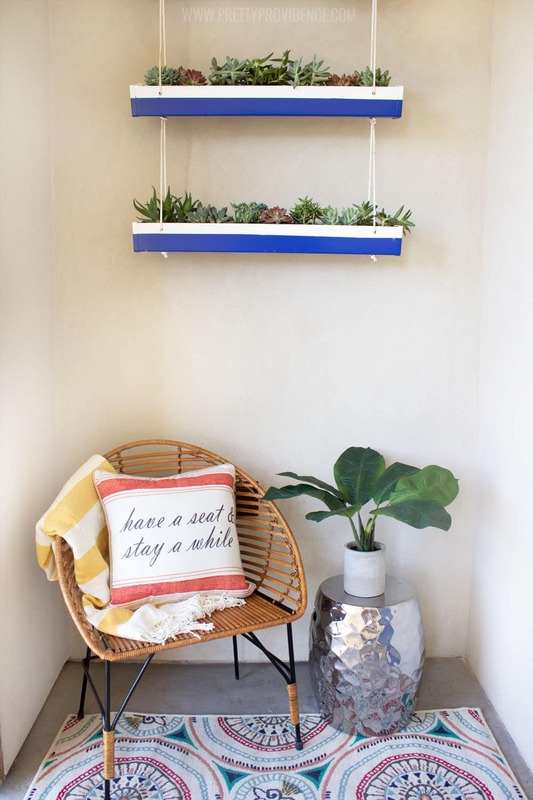 I decided to hang my planter in my front porch nook. My “porch” is pretty tiny, more like a doorstep, but it does have this cute little indent and I decided it would be the perfect place! I’m so glad I put it there because this cute spot is the first thing anyone who comes to my house sees, and now I feel like it is warm and fun and a pretty good representation of my style. Are you ready to check out some of my talented friend’s takes on this project? 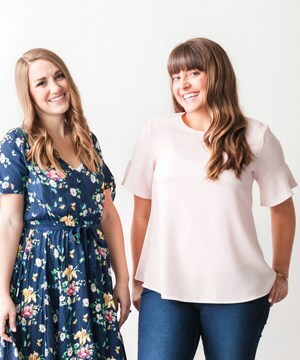 They are literally all so fun and inspirational! There is no way you don’t find one you love! Here are their links! What are you gonna do to yours? 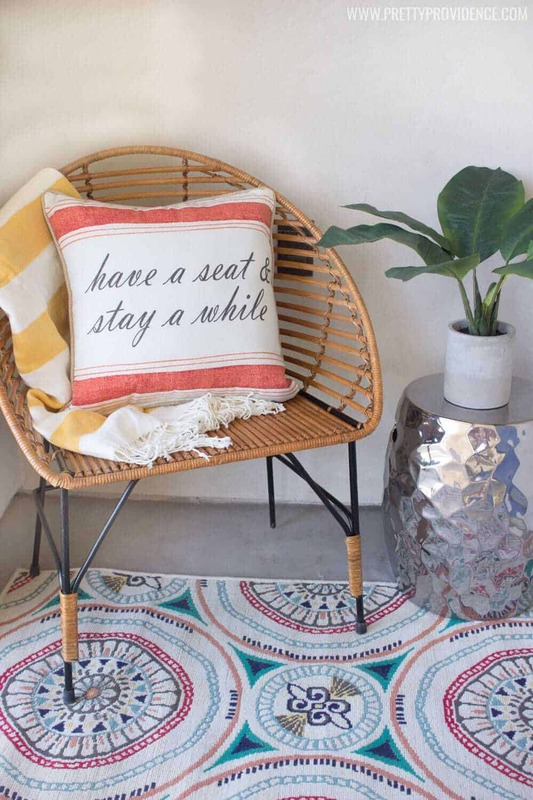 Don’t forget to sign up for your own #DIHWorkshop here! 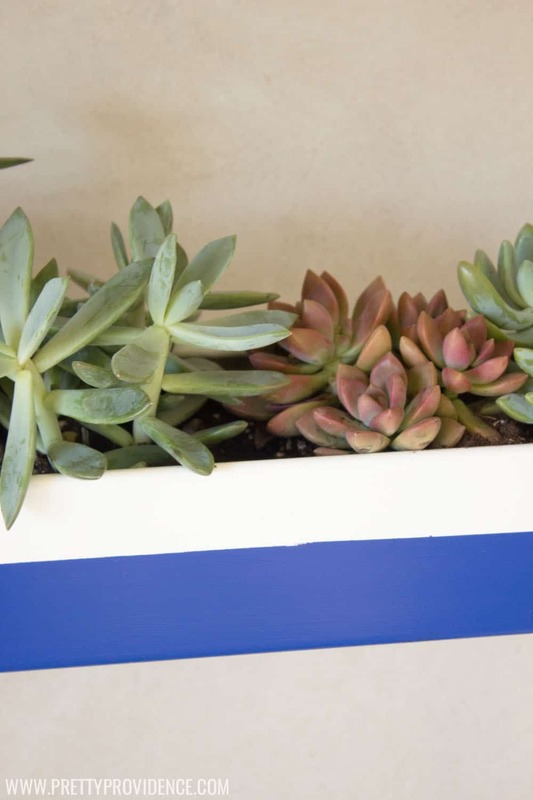 If you liked this post check out Sarah’s patio makeover plans or our awesome DIY succulent wreath! 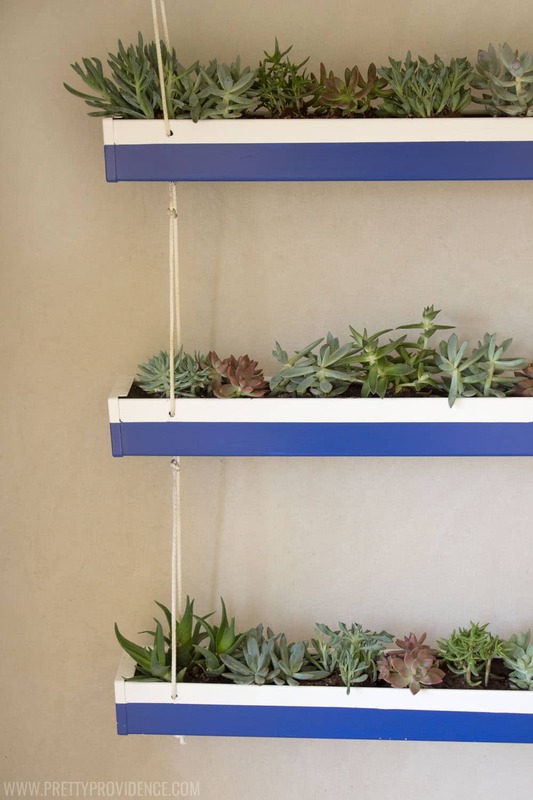 I love the stripe and the succulents – very cool!